Ramadaan, the month of Rahmah, the month of forgiveness is just at our door-steps. Some beneficial and MUST read notes and links that will help us to get ready for Ramadaan & welcome it in the best way. A detailed practical advice by Shaykh Salih Al-Munajjid, about preparing ourselves for the arrival of Ramadaan. Click below & do read it. Another good read to prepare ourselves & feel the importance of this great month. We prepare our homes, when we have a special guest coming over. Now someone more precious, more valuable, more honorable. is coming! how you are gonna welcome it? Some of the common mistakes in Ramadaan, that people are un-aware. Its a good read. This is a must read booklet, “70 Matters related to Fasting” by shaykh Salih Al-Munajjid. This booklet is available in English & Urdu. Also, some more E-books are available here on different topics. (Virtues, Fiqh & getting most of Ramadaan, Taraweeh, Qiyaam Al-layl, last 10 days & more). To get the most of Ramadaan, by organizing ourselves and avoiding the time wasters. here are some good articles & videos. This is a MUST MUST read!! Personal transcribed notes from a lecture. Tips to manage your time & focus during Ramadaan. These are some personal tips to avoid distraction, that takes away a lot of time, un-noticing & with out realizing. Do read and save your time for 3ibaadah. This is a MUST read for sisters. A short beneficial reminder by shaykh 3Assim Al-Hakeem, on the virtues of Ten days of Dhul-Hijjah and examples of good deeds that can be done in these 10 days. Some people stop eating Suhoor 10-15 minutes earlier than the time of Fajr to observe ‘Imsaak’. They think they cannot eat beyond that time and that it would be wrong if they did. Sometimes, our alarm doesn’t go off on time and we miss the time for eating, just barely waking up with the adhaan. I’m sure this has happened to all of us one time or another. In this situation, there are some people who are too scared to fast if they miss Suhoor. They think they will feel too weak during the day or that, by default, missing Suhoor automatically means NO fast that day. But, if you think about it, unless a person has a genuine health problem, it is not such a big deal after all. What if you missed a few morsels of food? You’ll be fine in-shaa’-Allaah. Alhamdulillaah most of us have enough fat stored in our bodies to keep us going for several days without food! Remember, obedience to Allaah takes precedence over everything. The intention is an action of the heart. We should resolve in our heart that we are going to fast tomorrow. That is all we need. It is not prescribed by the Shari’ah for us to say out loud, “I intend to fast”, “I will fast tomorrow” or other phrases that have been innovated by some people. Also, there is no specific du3aa’ to be recited at the time of starting the fast in the correct Sunnah. Whatever du3aa’ you may see on some papers or Ramadaan calendars, etc. is not from sunnah. Some people wait until the adhaan finishes or even several minutes after that, just to be ‘on the safe side’. However, the Sunnah is to hasten to break the fast, which means breaking fast whenever the adhaan starts, right after the sun has set. Aa3ishah radi Allaahu 3Anha said: This is what the Messenger of AllaahSallAllaahu 3Alayhi wa Sallam used to do. Instead of sitting down and making Du3aa’ at this precious time, some people forego this beautiful chance, and are too busy frying ‘samosas’, talking, setting the food, filling their plates and pouring drinks into their glasses and they lose this golden opportunity. Think about it…. Is food more important than the chance to have your sins forgiven or the fulfillment of your Du3aa’? Exams or work is NOT one of the excuses allowed by the Shari3ah to not fast. You can do your studying and revision at night if it is too hard to do that during the day. It is not permissible for an adult of sound mind to break the fast during Ramadaan because of exams, because that is not one of the excuses permitted in Islam. Rather he has to fast and do his studying at night if it is hard for him to do it during the day. Those who are in charge of exams should be kind to the students and arrange the exams at a time other than Ramadaan, so as to serve two purposes: the purpose of fasting and that of giving students time to prepare for the exams. Also remember that pleasing and obeying Allaah is much more important than ‘good grades’. Besides, if you will fulfil your obligation to fast, even if you have to study, Allaah will make it easy for you and help you in everything you do. Although inviting each other for breaking fast is something good and encouraged, some people go to extremes with lavish ‘Iftaar parties’ with all sorts of disobedience to Allaah, from flirting, mixing of the sexes and hijaab-less women, to show-off and extravagance, to heedlessness to Salaah and Taraaweeh, to even music and dancing. DO NOT make the mistake of fasting with the intention to diet. That is one of the biggest mistakes some of us make, especially the sisters. Fasting is an act of worship and should only and only, be for the sake of Allah alone. Otherwise, mixing it with the intention of dieting may become a form of (minor) Shirk. Sure, there are always added benefits of obeying Allaah, one of them being, losing weight while fasting. That comes in automatically, so reap the benefits but don’t make it part of your intention. If the side benefits come, they come. If they don’t, that shouldn’t stop you from obeying Allaah and fulfilling your duty. There is no specific number of rak’ahs for Taraweeh prayer, rather it is permissible to do a little or a lot. Both 8 and 20 are okay. What is really important, my brothers and sisters, is the command to observe night prayers during Ramadaan, which is encouraged without specifying a particular number. As long as we are praying our Taraaweeh, it shouldn’t be a matter of dispute or disunity whether it is 8 or 20 or even more. And of course, what really counts is that Allaah accepts it from us, even if it is two rak3aat, right? Some people waste the entire last 10 days of Ramadaan preparing for 3Eed, shopping and frequenting malls, etc. neglecting 3Ibaadah and Laylatul Qadr, although, the Prophet SallAllaahu Alayhi wa Sallam used to strive the hardest during the last ten days of Ramadaan in worship and not in shopping. May Allaah guide us to practice what we learn, spend Ramadaan as is pleasing to Him and may we reap the fruits of Ramadaan and may Allaah accept our Ramadaan. Aameen. (8) al-Tirmidhi (2525), classed as saheeh by al-Albaani in Saheeh al-Tirmidhi. It was narrated from some of the salaf that they used to pray to Allaah for six months that they would live until Ramadaan, then they would pray for five months afterwards that He would accept it from them. 7 – Sitting with one’s family members – wife and children – to tell them of the rulings on fasting and encourage the young ones to fast. 8 – Preparing some books which can be read at home or given to the Imaam of the Masjid to read to the people during Ramadaan. 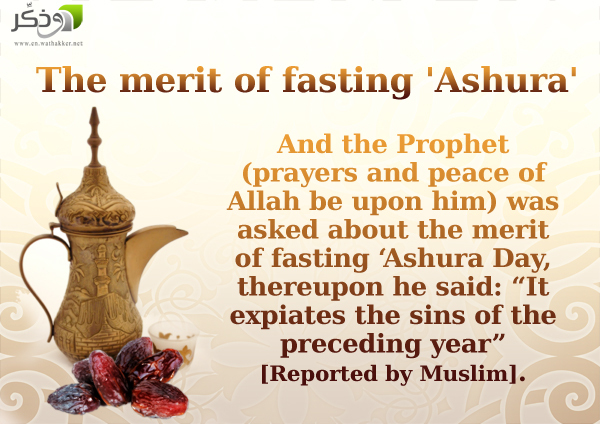 9 – Fasting some of the month of Sha3baan in preparation for fasting Ramadaan. This hadeeth explains the wisdom behind fasting in Sha3baan, which is that it is a month in which deeds are taken up (to Allaah). Some of the scholars mentioned another reason, which is that this fasting is like Sunnah prayers offered beforehand in relation to the obligatory prayer; they prepare the soul for performing the obligatory action, and the same may be said of fasting Sha3baan before Ramadaan. 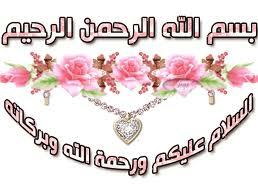 Salamah ibn Kuhayl said: It was said that Sha3baan was the month of the Qur’aan readers. When Sha3baan began, 3Amr ibn Qays would close his shop and free his time for reading Qur’aan. The month of Rajab is the month for planting, the month of Sha3baan is the month of irrigating the crops, and the month of Ramadaan is the month of harvesting the crops. The likeness of the month of Rajab is that of the wind, the likeness of Sha3baan is that of the clouds and the likeness of Ramadaan is that of the rain; whoever does not plant and sow in Rajab, and does not irrigate in Sha3baan, how can he reap in Ramadaan? Now Rajab has passed, so what will you do in Sha3baan if you are seeking Ramadaan? This is how your Prophet and the early generations of the ummah were in this blessed month, so what will you do? (4) Narrated by al-Bukhaari (1849) and Muslim (1146). (6) Narrated by al-Bukhaari (1868) and Muslim (1156). (7) Narrated by al-Nasaa’i (2357); classed as hasan by al-Albaani in Saheeh al-Nasaa’i. The intention (niyyah) is essential for all acts of worship; no act of worship is valid without the intention. No one has mentioned any difference of opinion concerning this matter, except that some of the later followers of al-Shaafa3ee expressed approval of that, but some of the leaders of this madhhab said that this was wrong. But in the dispute among the scholars as to whether it is mustahabb to utter one’s intention, there are two points of view. Some of the companions of Abu Haneefah, al-Shaafa3ee and Ahmad said that it is mustahabb to utter the intention so as to make it stronger. Some of the companions of Maalik, Ahmad and others said that it is not mustahabb to utter it, because that is a bid’ah (innovation). It was not narrated that the Messenger of Allaah SallAllaahu 3Alayhi wa sallam or his Sahaabah did it or that he commanded anyone among his ummah to utter the intention. That is not known from any of the Muslims. If that had been prescribed then the Prophet SallAllaahu 3Alayhi wa sallam and his companions would not have neglected it, as it has to do with worship which the ummah does every day and night. This is the more correct view. Indeed, uttering the intention is a of irrational thinking and falling short in religious commitment. In terms of falling short in religious commitment, that is because it is bid’ah (an innovation). In terms of irrational thinking, that is because it is like a person who wants to eat some food saying, “I intend to put my hand in this vessel, take out a morsel of food, put it in my mouth and chew it, then swallow it, and eat until I have had my fill.” This is sheer foolishness and ignorance. Uttering the intention out loudly or secretly in Salah, Wudu’, and other acts of worship is impermissible, for the Prophet SallAllaahu 3Alayhi wa sallam did not prescribe this either by saying or action, also because the place of intention is not the tongue, but the heart. You should start your prayer whether it is Fard or Nafilah by saying – Allahu Akbar and start your Wudoo by Tasmiyah to follow the Sunnah of the Prophet SallAllaahu 3Alayhi wa sallam. “… Except in two cases. The first case is when entering ihram for Hajj or 3Umrah, in which case one says “Labbayka 3Umratan (here I am for 3Umrah)” or “Labbayka Hajjan (here I am for Hajj)”. The second case is when slaughtering the hadiy or udhiyah or 3aqeeqah, when one should say Bismillaah and state which type it is, whether it is 3aqeeqah or ‘udhiyah or hadiy, and on whose behalf it is being offered. So he should say: In the name of Allaah and on behalf of So and so” or “In the name of Allaah on my behalf and on behalf of my household,” then he should slaughter it. You should intend practicing the acts of worship that you want by heart, except in case of Hajj and 3Umrah , for it is prescribed to utter the rites of Hajj or 3Umrah by saying: Allaahumma (O Allaah) (Labayk [Here I am! At your service] Hajj) or (Labayk 3Umrah). If a person says “Labbayka 3umratan (Here I am for 3Umrah)” or “Laybbayka hajjan (Here I am for Hajj)”, that does not come under the heading of forming the intention, because he formed the intention before that. Hence it is not prescribed to say, “O Allaah, I am going to do 3Umrah” or “O Allaah, I am going to do Hajj.” Rather you should form the retention in your heart and recite the Talbiyah out loud. It was told that a layman from Najd was in al Masjid al Haraam, wanting to pray Dhuhr, and there was a man beside him who only knows how to do niyyah (intention) out loud, so when it was iqaamah, the man said: “O Allaah! I intend to pray Dhuhr prayer, 4 rak3ahs for the sake of Allaah, behind the imaam of the Masjid al Haraam”. The below hadeeth has been circulating on the net, social sites & forums for many years and now it has become wide-spread on facebook, twitter and WhatsApp. Please be aware of the following famous hadeeth, it is FABRICATED. “Whoever is the first to give another person the news about the month of Rabi-ul-Awwal, the fire of hell is Haraam for them”. This fabricated hadeeth is wide-spread in English, Arabic & other languages with different versions (same wordings but for different months). A number of scholars are of the view that the one who deliberately tells lies about the Prophet SallAllaahu 3Alayhi wa sallam is a kaafir. Whoever tells lies about me deliberately, let him take his place in Hell. It is therefore, necessary that one should be cautious, when one receives e-mails of such a nature wherein there is no authentic reference mentioned. Such e-mails or pieces of information should be referred to reliable and learned scholars for verification. 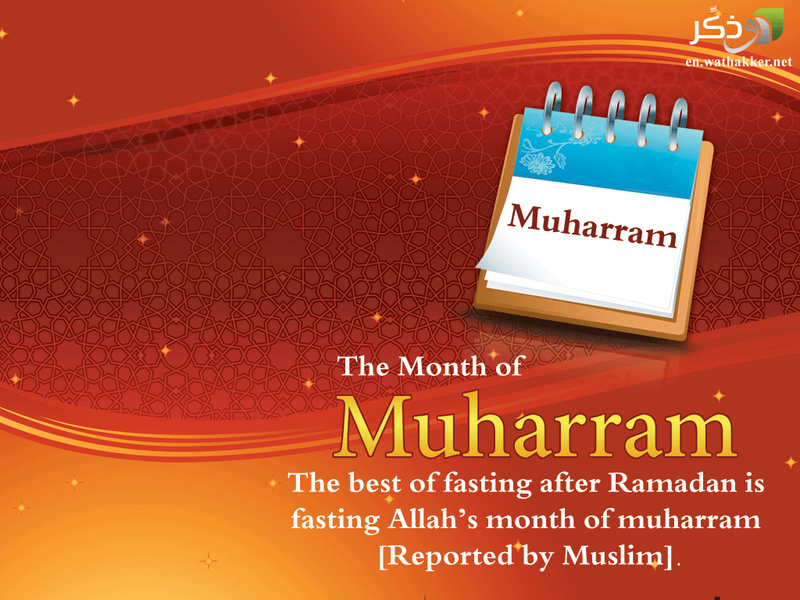 Muharram, the 1st month of new Hijri year 1437H is starting from Thursday, 15th October 2014. Also, please be advised that there is no special du3aa’, prayer or 3Ibaadah, to be done or end the Hijri year with. click the link below. Let’s make the best of these superior days. Please watch 4-minute advice by shaykh Nabil Al-3Awadhi or read this excellent article to get the maximum benefits from these 10 days. Attached herewith is the checklist for many good deeds, that can be done daily during these days. Download and print it and lets try to do as much as possible. Do make du3aa’ to Allaah to help us and give us tawfeeq to do good deeds, seeking His Pleasure only. A beneficial reminder and advice about these 10 days, by shaykh Nabil al-3Awadhi. A worth-watching 4-minute video, highlighting various good deeds that one can do in these days. Beautiful authentic du3aa’s from Qur’aan & sunnah that Brother Navaid 3Aziz, posted on his facebook page (1) last Ramadaan. This du3aa’ list will be beneficial for everyone in-shaa’-Allaah. Here is the message & full post by Brother Navaid, with slight modification & references. I have also added a pdf version of the du3aa’. Assalaamu 3Alaykum everyone, I looked at the greatest needs we have in this day and age and selected 7 du3aa’s from the Qur’aan and Sunnah that I feel would be in the best interests of every Muslim. It would be ideal to print this list (or have it on your phone) and keep it handy at the time of Iftaar. Likewise, please add to your list anything else that you would like, especially that which your heart desires. I pray Allah accepts from us all, and makes us from those who are forgiven and pardoned this Ramadaan and entered into Al-Firdaws in the hereafter. Aameen. Allaahumma inni a3udhubika min al-hammi wal huzani,wal 3ajzi wal kasali, wal bukhli wal jubni, wa dala’ad-dayni wa ghalabatir-rijaal. Allaahumma inni as-alukaal-3afiyata fid dunya wal aakhira. Allaahumma inni as-aluka al 3afwa wal 3aafiyata fee deeni wa dunyaya wa ahlee wa malee. Allaahumma ustur 3awrati wa amin row3atee. Allaahumma ahfadhnee min bayni yadayya min khalfi wa 3an yameeni wa 3an shimali wa min fowqi wa a3oodhu bi3adhmatika an aghtaala min tahtee. Allaahuma inni as-aluka al-jannata wa a3udhubika min an-naar. (5) Sunan Abu Dawood & ibn Majah, Classed as Saheeh by Shaykh Al-Baani in Saheeh Abi Dawood. (7) Classed as Saheeh by Shaykh Al-Baani in Saheeh Abi Dawood. (8) Classed as Saheeh by Shaykh Al-Baani in Saheeh Abi Dawood.